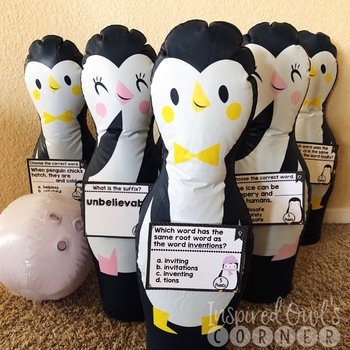 I was so excited to find the fun penguin bowling game in the Target Spot, and I immediately thought it would make a fun educational game for my students! 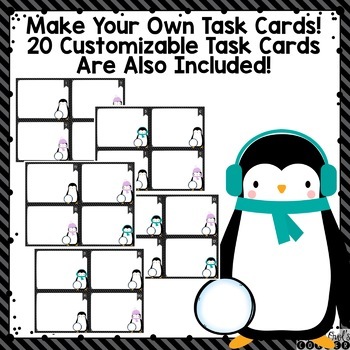 You can use these task cards with the penguin bowling game, with another bowling set, or without, and you can play whole class or in groups. 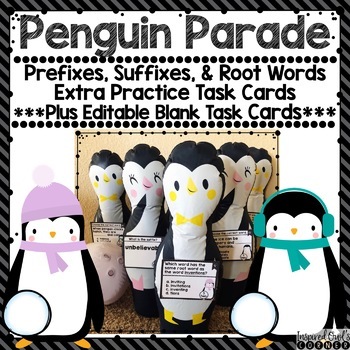 I plan to either tie the task cards around the penguins’ necks, tape them on with double sided tape, or place them underneath the penguin bowling pins. Students can take turns rolling the bowling ball, and if they knock over a pin, they answer the question(s) and earn the number of points on the card. I will give each student a task card recording sheet and they will answer each question before the student whose turn it is gives his/her response. These cards would also be fun to post around the room, use during center time, or have a teacher or volunteer work with a small group to reinforce the concepts. Also included is a set without points if you would rather use those. Look for more fun task card sets coming soon to go along with Snowman Snowball Toss, Reindeer Antler Ring Toss, and Narwhal Ring Toss all found in the Target Dollar Section! Don’t forget to check out the preview for this resource to get a closer look at everything that’s included! Go to My Purchases page on TPT. Beside each purchase, you'll see a Provide Feedback button. Simply click it and you will be taken to a page where you can give a quick rating and leave a short comment about this product. I greatly value your feedback! Also, when you leave feedback on your purchases, you will earn credits that can be applied to save money on future purchases. Be the first to know what's new in my store: Look for the green star next to my store logo and click it to become a follower. Hooray! You will now receive updates from me! ♥ Looking for matching decor? Editable Drawer Labels would be a perfect addition to your classroom! 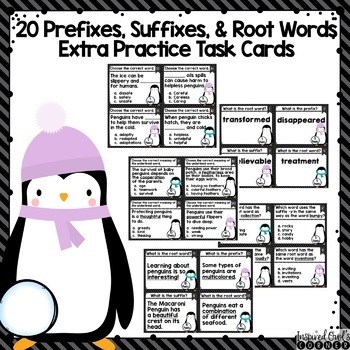 ♥ Need ELA/Literacy Posters for your classroom? I post mine on my focus wall each week, and you can see them here. ELA/Literacy Posters Bundle are perfect to display on your second or third grade classroom focus wall! ♥ Do your students need extra grammar practice or activities to do during Daily 5?A Growing Grammar Bundle would be perfect for your second or third grade students.